The board and management work together during the strategy execution process. Is Your Board the Master Chef Behind Transformation? 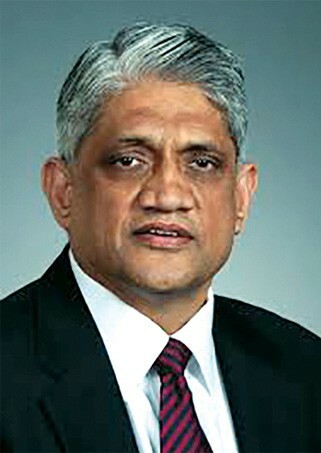 “A lot of organizations have great vision and great strategy, but execution is what differentiates successful organizations from those that have not been successful,” Click To Tweet says Ramani Ayer, former chairman-CEO of The Hartford, a Hartford, Connecticut-based diversified insurance and financial services company, and former chairman of Hartford HealthCare, an integrated health-care system. Now on the boards of global insurer XL Group and Hartford HealthCare, Ayer has shifted his role from management to supporting the management team in charting effective—and executable—strategies. “When you talk about execution, it’s never, ‘Now, we’re only talking execution, and not strategy. Or, now we’re only talking strategy, not execution.’ It just never happens that way,” he says. And execution isn’t as distant from the boardroom as one might think, Ayer says. Although execution “is the purview of management,” the board is responsible for aligning with the C-suite to set the course—and holding management accountable for results. He insists that the board act as a single unit, and he is careful not to attribute successes to himself as an individual. As a rule, credit is due the CEO, he says, with an acknowledgment of support from the board as a whole. Providing that support depends on a synthesis of strategy and execution, and collaboration between management and board. The responsibilities of the board in supporting execution are varied, and always intertwined with strategy. Ayer lays out the process in five parts. 1. Aligning on strategic direction. First, board and management agree on the strategic direction of the enterprise, as well as its mission and vision. To do that, Ayer says, both management and the board must understand the current context while analyzing the organization’s strengths and weaknesses. The board and management must also assess opportunities and threats it will be facing over a specific period of time within the broader business landscape. “Management and board must be able to clearly say, ‘By 2020 or by 2025, our organization will accomplish the following things in our space,’” he says. 2. Setting the balanced scorecard. With the company vision and strategy defined, management then selects the initiatives that will be critical to realizing that vision. Embedded in those strategic initiatives is a set of annual milestones to measure the company’s progress. Ayer says Hartford HealthCare uses the balanced scorecard technique, a strategic planning and management system frequently employed by organizations to develop and manage a portfolio of initiatives. “The reason the term ‘balance’ is used,” he says, “is so you embrace all your critical stakeholders in it beyond your own customers or clients. In the world of health care, that includes your distribution organization, your physicians’ organizations, your employee base, regulatory agencies, all of that. Your balanced scorecards articulate the critical areas and the progress against them for every year of the plan.” In the absence of clear milestones and metrics from an execution perspective, the board will find it difficult to ensure that things are happening on pace or to determine whether there are serious shortfalls in performance, Ayer says. 3. Executing on the mission. At this stage, the board should be clear on organizational vision, major strategies and key initiatives. “You have established a balanced scorecard, and you have agreed on a management team,” Ayer says. He emphasizes that a balanced scorecard would include milestones and competencies that will be critical to realizing the organization’s vision. An organization may have those competencies in-house, or it may need to acquire them by attracting talent or offering internal education. The CEO is given the responsibility to lead this process, Ayer says, with regular communication to the board. 4. Troubleshooting execution. “You expect the CEO to come to the board meetings with a clear sense of what milestones are progressing well and which ones are not,” Ayer says. “Management usually has an analysis of the reason for a breakdown.” The problems could stem from any number of causes, from external factors—something changed in the regulatory environment or in the competitive environment—or it could stem from internal factors, such as management breakdowns, an inability to execute at a certain level, or shortfalls in capacity or competency. “The board expects to see that, in management’s recommendations, there’s a clear articulation of a path to rectify problems,” Ayer says. “In our own case, at Hartford HealthCare, the externalities that we faced recently arose out of reductions from federal sequestration and state Medicaid reimbursements,” Ayer says. Between Medicare rate suppression and Connecticut’s Medicaid reimbursement reductions, the organization’s entire margin for the year was wiped out. “Even though management was doing a great job of implementing against the strategic vision and against the balanced scorecard, suddenly we found that our bottom line was going to be impacted severely,” Ayer says. Hartford HealthCare’s management quickly brought forward a set of solutions. “While they were swift in their response, they could not be swift enough, because these [new regulations] went into effect right away,” Ayer says. 5. Responding rapidly to change. In the wake of a significant disruption, boards must have the capacity to rapidly make decisions and support management’s ability to adapt. As employers shifted the risk of health care more heavily onto employees, huge deductible plans were causing employees to defer health-care services, impacting revenue. “Management, recognizing this, had to figure out how best to rationalize the organization structure, the services we provide and the technology that we might need to address these tectonic shifts,” Ayer says. “The primary lesson was recognizing that the revenue landscape was shifting in a huge way.” Over a few quarters, Hartford adjusted its organizational structure and staffing to address those issues. Anticipating and responding to change and ensuring accountability are major tasks for the board. Equally important, however, is supporting management in the implementation of new initiatives. When Ayer joined the Hartford HealthCare board as chairman in 2011—he retired as CEO of The Hartford in 2009—he had the “enviable opportunity” to work with Hartford HealthCare CEO Elliot Joseph on a new initiative to restructure and integrate the organization. To that end, Ayer says, it was important first to establish a company culture that brought all the disparate organizations together more cohesively under the Hartford HealthCare umbrella. CEO Joseph adopted a culture called H3W, which stands for How Hartford HealthCare Works—a practice that was already being used in one of its hospitals. When Joseph heard of it, he took it enterprise-wide. In H3W, regular monthly meetings take place at a unit level across the entire system. At these meetings, the leader of the unit shares major results of the organization’s performance, discusses the specifics of his or her own unit, brainstorms for ideas that can be further developed by the team, and discusses accomplishments and recognitions. “This practice of generating ideas all the way down to a local unit inside of a framework of a strategic plan creates enormous execution power,” Ayer says. But that was only part of what helped Hartford HealthCare adapt to a more complex landscape. The board and CEO pulled together their critical strategies and translated them into a set of balanced scorecards every single year. The scorecards had very clearly articulated, measurable objectives that management tasked itself to deliver, with compensation systems aligned to recognize and reward management if it delivered against its milestones.